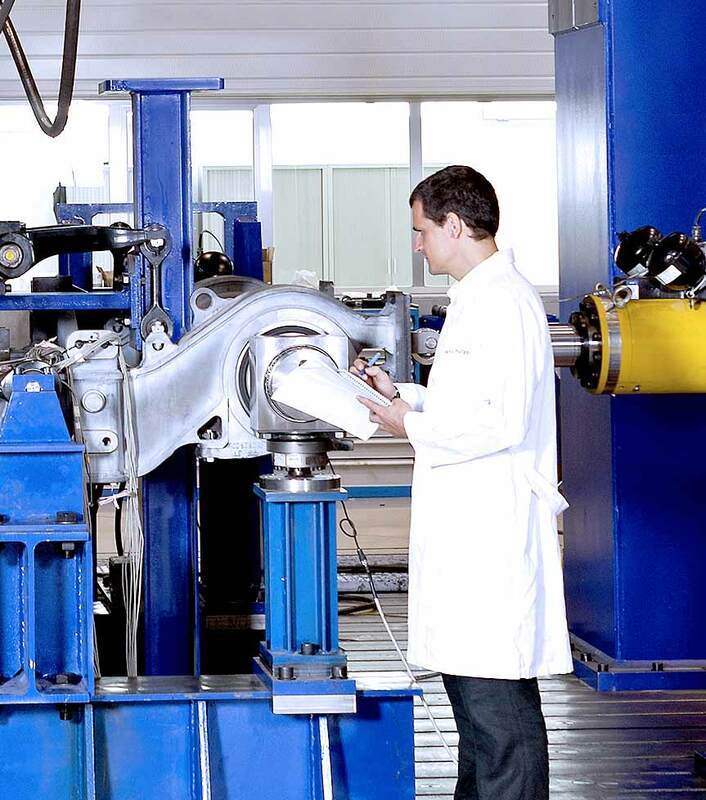 Our test laboratory is accredited for bogie and bolster fatigue testing according to EN 13749, UIC 515-4 and UIC 615-4. These tests are also mandatory to obtain component TSI homologation. The aim of these tests is to simulate operational life in a short period of time. We have several state-of-the-art test rigs, which can be run simultaneously, especially designed to test bogies and bolsters. These versatile rigs are fitted with up-to-date equipment which can accept any kind of load, including vertical, lateral, roll, yaw, traction and brake loads, plus multiple combinations. These loads simulate real running conditions, as well as the influences of other components. CETEST boasts state-of-the-art equipment and measurement instrumentation; displacement sensors, load cells, control systems and up-to-date data acquisition software ensure our clients receive the best possible service. Our service includes non-destructive testing (magnetic particles inspection) at different test stages to detect crack formation or evaluate crack propagation. The duration of tests depends on client or standard requirements (loads, number of cycles, test frequency, etc.). 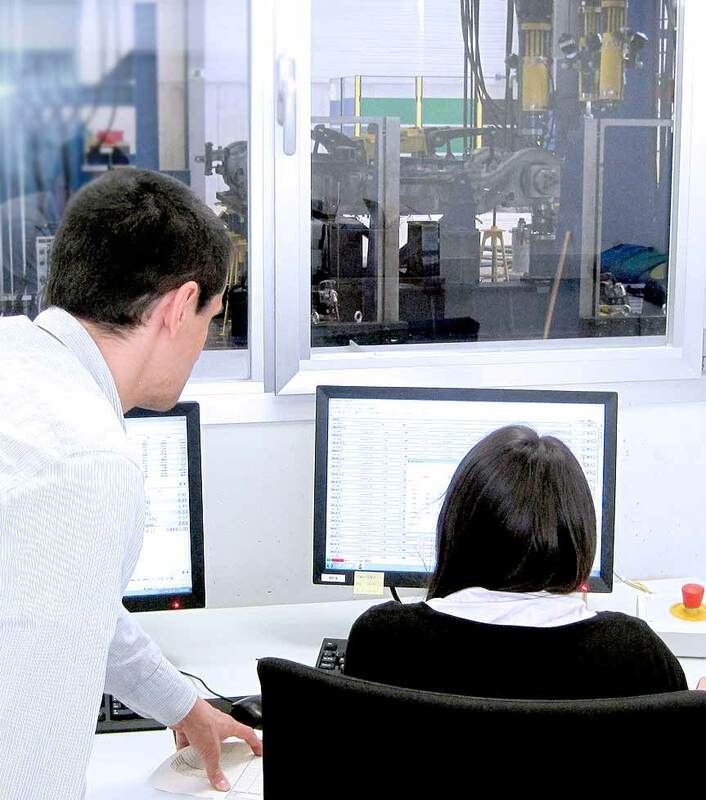 Nevertheless, CETEST’s commitment is to reduce the time needed for test rig preparation and post process tasks to a minimum, thus reducing lead times. We cooperate with our clients in order to compare the FEM calculation results against the real results obtained during testing. We also perform on-track bogie fatigue studies.